Sitting on a plot of approximately 1.4 acres, this four-bedroom detached family home is less than three years old and benefits a double garage, stables and a separate paddock measuring approximately 1.1 acres. Internally the property is finished to a high standard with accommodation spread over two floors, with layouts putting the emphasis on modern family living. To the ground floor you will find spacious living accommodation to include an entrance hallway, dual aspect living room with french doors onto the rear garden, modern kitchen/dining room with access to the sitting room, family room and utility room creating an ideal family space, useful study and downstairs cloakroom. Moving upstairs you will find four bedrooms with the master boasting an en-suite and dressing room, bedrooms two and three offering beautiful countryside views and a modern family bathroom. Outside you will find plenty of space for entertaining and spending quality time with the family, this countryside home boasts a large fully enclosed rear garden, yard, stables and separate paddock. Further benefits include a double garage with electric up and overs doors, driveway providing off road parking for several vehicles and eight-year LABC guarantee remaining. Contact Satchells today to register your interest and book your early viewing! Spacious entrance hall with oak veneered doors to the living room, study, cloakroom and kitchen/dining room. Stairs rising to the first floor with cupboard under housing the sprinkler system. Additional useful storage cupboard with the wall mounted boiler and a light. Carpet to floor with two lights above. Radiator. Abt. 19' 5" x 16' 9" (5.92m x 5.11m) Dual aspect reception room with a upvc double glazed window to front aspect and a upvc double glazed french doors onto the rear garden. Carpet to floor with two lights above. Two radiators. Abt. 7' 2" x 6' 7" (2.18m x 2.01m) Ideal for those looking to work from home with a upvc double glazed window overlooking the rear garden. Carpet to floor with a light above. Radiator. Fitted with a two piece suite comprising low level push flush wc and wash hand basin with a vanity cupboard under. Tile effect flooring and half tiled walls. Light and extractor fan to ceiling. Radiator. Upvc double glazed frosted window to front aspect. Abt. 21' 2" x 17' 4" (6.45m x 5.28m) A fantastic space for spending time with the family or entertaining friends. Fitted with a beautifully finished high gloss kitchen comprising a range of wall and base units with drawers. Granite worksurfaces over incorporating a breakfast bar and one and a half bowl sink with draining groves. Space for a range style cooker with extractor hood above, freestanding american style fridge/freezer and a dishwasher. Tiled flooring and tiled splashbacks. Lights to ceiling. Oak veneered internal doors to the utility room, family room and sitting room. Upvc double glazed windows to the side aspect and upvc double glazed french doors onto the rear garden. Plenty of space for a table and chairs. Two radiators. Abt. 13' 3" x 6' 3" (4.04m x 1.91m) Convenient space with upvc double glazed windows and patio door to the side aspect. Fitted with roll top worksurfaces incorporating a one and a half bowl stainless steel sink and drainer, cupboards under and space for a washing machine and tumble dryer. Tiled flooring and tiled splashbacks. Light to ceiling. Personal door to the double garage. Radiator. Abt. 13' 3" x 10' 5" (4.04m x 3.17m) Additional reception room with plenty of potential. Carpet to floor with a light above. Radiator. Upvc double glazed window to front aspect. Radiator. Abt. 14' 9" x 13' 11" (4.50m x 4.24m) A beautiful and bright room with floor to ceiling upvc double glazed windows overlooking the rear garden. Carpet to floor with vaulted ceilings and a light above. Upvc double glazed french doors onto the garden. Radiator. With oak veneered internal doors to the bedrooms and family bathroom. Door to useful storage cupboard. Carpet to floor with three lights above. Double glazed skylight with views to the rear. Two radiators. Abt. 12' 7" x 7' 7" (3.84m x 2.31m) Useful space with carpet to floor and a light above. Radiator. Fitted with a modern three piece suite comprising a low level push flush wc, wash hand basin with vanity cupboards under and a panelled bath with mixer tap and hand held shower attachment. Separate wall mounted shower attachment over the bath with a glass screen. Tiled walls. Tile effect flooring with a light above and extractor fan above. Radiator. Double glazed skylight to the side aspect providing countryside views. Abt. 13' 11" > 9' 11" (4.24m x 3.02m) 15' 10" > 6' 11" (4.83m x 2.11m) Dual aspect double bedroom with a upvc double glazed dormer window to the front aspect and double glazed skylight to the rear providing countryside views. Carpet to floor with a light above. Radiator. Abt. 14' 9" x 14' 1" > 7' 5" (4.50m x 4.29m > 2.26m) Further double bedroom with double glazed skylight to the rear aspect providing countryside views. Carpet to floor with light above. Radiator. Abt. 13' 7" x 7' 5" (4.14m x 2.26m) Sizable fourth bedroom with a upvc double glazed dormer window and double glazed skylight to the front aspect. Carpet to floor with a light above. Radiator. Abt. 10' 7" x 6' 4" (3.23m x 1.93m) Fitted with a modern three piece bathroom suite comprising a low level push flush wc, wash hand basin with a vanity cupboard under and a panelled bath with a mixer tap and hand held shower attachment. Separate wall mounted shower attachment over the bath with a glass screen. Fully tiled walls. Tile effect flooring with a light and extractor fan above. Wall mounted chrome heated towel rail. Double glazed skylight to the front aspect. Abt. 20' 1" x 17' 6" (6.12m x 5.33m) Double garage with power and light. Personal door into the utility room. Beautiful and spacious rear garden, ideal for spending time with friends and family or to just enjoy the countryside. Fully enclosed via wooden fencing with a gate providing access to the side. Mainly laid to lawn with a variety of shrubs and trees. Large paved patio area by the living room and sitting room. Pathway to the side of the property with gravelled borders. Timber shed to remain. Convenient additional gravelled outside space, ideal for further parking. Gate to the paddock and stables. Three stables of timber construction with a concrete base, water supply and tap. Hard standing area to the front. Measuring approximately 1.1 acres, fully enclosed via fencing. The EPC rating for this property is B. A full copy of the EPC is available on request in a PDF email format or can be viewed in our offices. Disclaimer - Property reference 13506564. The information displayed about this property comprises a property advertisement. Rightmove.co.uk makes no warranty as to the accuracy or completeness of the advertisement or any linked or associated information, and Rightmove has no control over the content. This property advertisement does not constitute property particulars. 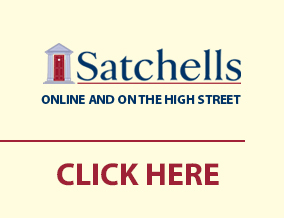 The information is provided and maintained by Satchells Estate Agents, Biggleswade. Please contact the selling agent or developer directly to obtain any information which may be available under the terms of The Energy Performance of Buildings (Certificates and Inspections) (England and Wales) Regulations 2007 or the Home Report if in relation to a residential property in Scotland.